For September 2011, I had prepared to join INAICTA (Indonesia ICT Awards) 2011. I joined in Applicative Robot Exhibtion Category. Theme is Robot for helping people from naturakl disaster. I and friends made a simple smart robot. The robot is a smart table to minimize disadvantages that’s caused the flood. 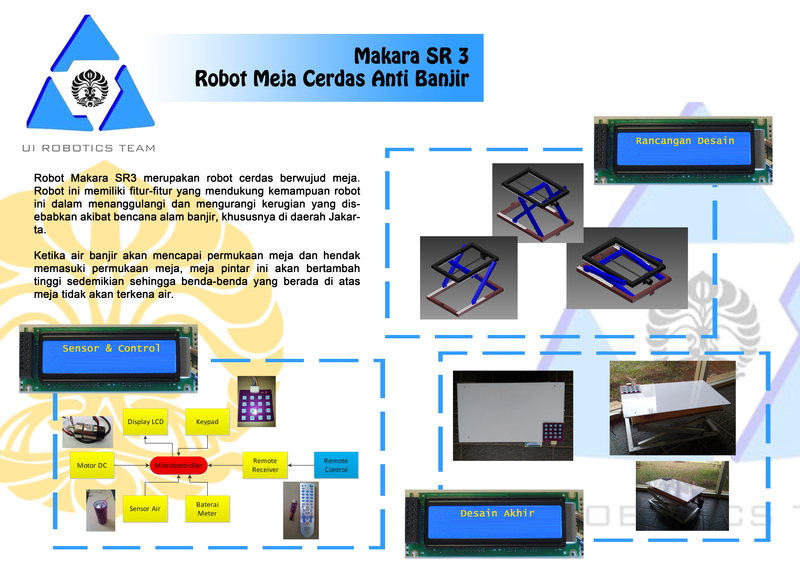 Our Robot is named Makara-SR3. Below is the poster of Makara-SR3.